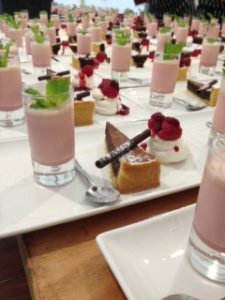 Blog – Picking the Perfect Wedding Dessert Trio! Our lovely couples seem to have no trouble finding what they want to eat for the starters and main courses. When it comes to choosing a dessert however, they always struggle to pick just one from the gorgeous range and turn to us for help. To prevent a bust up most opt for a trio but what’s the best match? To help you we’ve put together our top tips..
Getting flavour combinations right can often rely on contrast. Not just taste, but texture too. A popular combination is one that is sharp, rich and light. 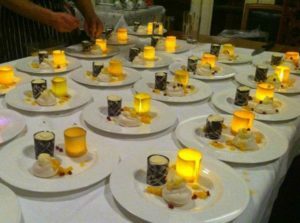 We’ll start with a Lemon Posset that gives us that sharp citrus taste, then a rich Sticky Toffee with Butterscotch Sauce and finally a light, crisp Mini Raspberry Meringue. 2. Variation on a theme. Can’t get enough of that one thing? Berries? Chocolate? Citrus? Then let it run right through your trio. Sweet on Strawberry? 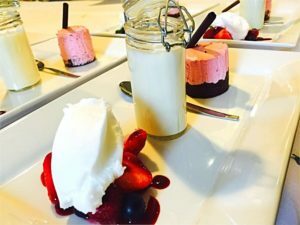 Why not try Strawberry Baileys Cheesecake, Strawberry Tart and Strawberry Meringue. Chocoholic? How about Mousse, Brownie and our outstanding Chocolate Cask! Why should just the veg be seasonal? How about Summer Berries or Autumnal Fruits. For Winter Weddings go traditional with a mini Sherry Trifle and Christmas Pudding and get modern with a Spiced Christmas Sponge with a Mulled Wine Jam. Delicious! You can please everyone (we know that’s hard to believe). Keep it simple and go with what you like. 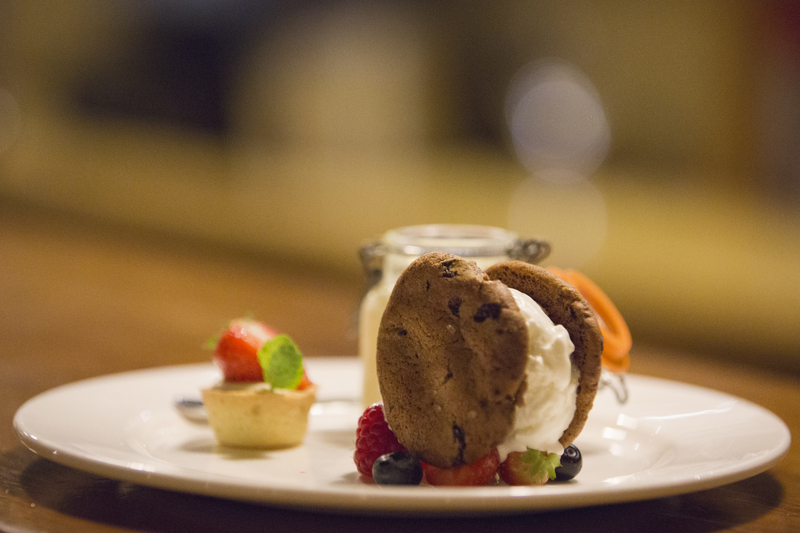 Most desserts have miniature alternatives. What are your family favourites? Does the father of bride like Syrup Sponge, the Mother of Groom love Tiramisu? Or maybe relive that magical dessert you shared on that first date. Making an impact doesn’t just have to be that stunning dress! Add some real glamour with desserts that are a feast for the eyes as well as the tongue. Take a sweet wafer and embed a coloured tea light. Dim the lights for maximum impact! Give a floral feel with a tulip ice cream bowl or contrasting stackable terrine. Whatever you choose you’ll hear those gasps from the top table as your guests are being served.